Product Details - Material - Nylon Ridges, Shape -Wishbone Shape , Suitable- Small and Medium breeds or Dogs. 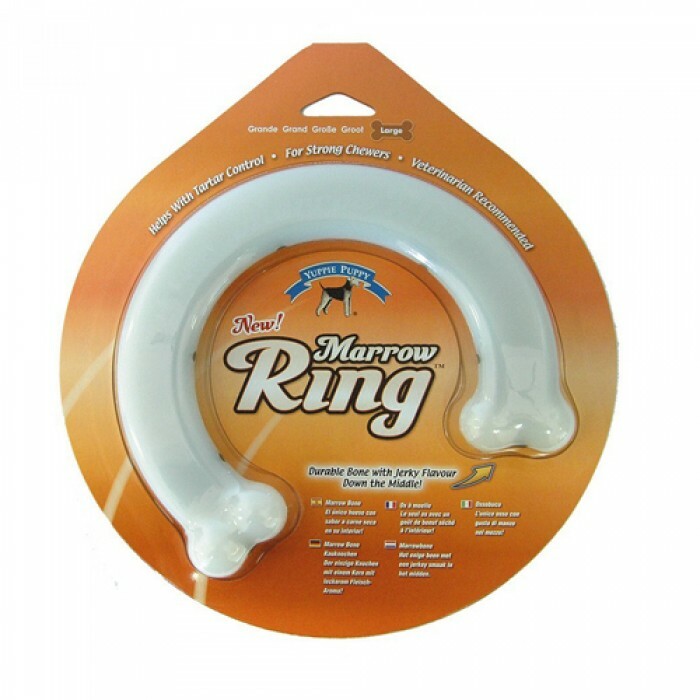 Product Information- Yup Marrow Chew - Wishbone Shape are the only chewable nylon bones with Jerky Flavor Down the Middle Perfect for strong chewers, nylon shavings act like a tooth brush and help remove tartar from the dogs teeth. 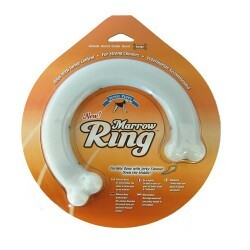 Unlike traditional rawhide bones, this bone will last.The circular shape allows for easy gripping while providing hours of chewing satisfaction and also serves as a great interactive toy for you and your canine companion. Yuppie Puppy Durable Marrow Chews are the only chewable nylon bones with an edible jerky flavor down the middle.